Tried a complicated insider trading/securities fraud case against the Securities and Exchange Commission. After a three-week jury trial, our clients were completely exonerated. Represented a prominent local business man who was falsely jailed by police officers employed by a large Florida municipality. We sued the city in Federal court under 42 USC § 1983 for violating our client's civil rights. After a week-long Federal Court jury trial our client was awarded significant damages and his attorneys' fees. Represented a bank president in a federal criminal case that resulted in an acquittal of all but one count. On appeal, that lone conviction was reversed, resulting in a total acquittal of our client. Represented an independent practice association of physicians in their claim for breach of contract and various business torts against a national insurance company. This resulted in a $3 million arbitration award. Represented a corporate executive/shareholder in a lengthy trial that was the result of a contest for corporate control. Achieved a multi-million dollar verdict for our client. Represented a cardiology group in the negotiation and sale of their cath lab to one of our local hospitals. Successfully represented a national company in a patent infringement case in federal court that resulted in a verdict of willful infringement of our client's patent. Defended a large primary care physician group in a medical malpractice case. After a two-week trial, the jury rendered a complete defense verdict. Defended a local business man charged with criminal embezzlement. After a one-week trial, the jury found our client not guilty on all charges. Represented a large hotel chain that was accused of religious discrimination under Title VII. After a lengthy jury trial, our client was totally exonerated. Represented a large compounding pharmacy in a federal civil and criminal fraud investigation which was resolved very successfully for the client. Represented a large physician practice group in the negotiation and sale of their practice to a national healthcare multispeciality network. Rob is the senior member of the firm's litigation group with over 45 years of experience in all areas of trial practice, including jury and non-jury trials, arbitrations, and mediations. Rob specializes in complex business, healthcare, and securities litigation. 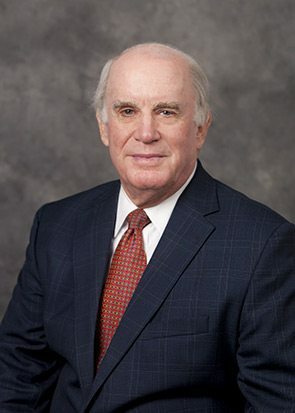 He has successfully tried numerous jury trials including complex breach of contract disputes, business tort claims, securities fraud cases, real estate and construction claims, corporate governance and other business organization disputes, statutory and constitutional tort cases, negligence and medical malpractice claims, employment discrimination suits, and the defense of white collar criminal prosecutions. In addition, due to his experience with both the business and legal aspects of the health care industry, Rob often assists clients in the health care field to proactively address business and legal concerns. Rob also serves as an arbitrator for the National Futures Association (NFA) and the American Health Lawyers Association (AHLA) Dispute Resolution Service.